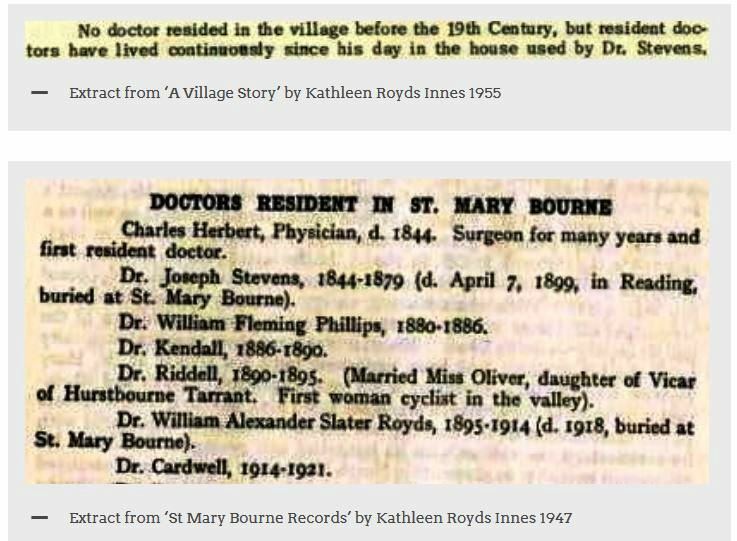 This entry was posted in Homes and tagged Doctors' House and Surgery, Dr Thomas Cardwell, Dr William Alexander Slater Royds, The Laurels St Mary Bourne by layanglicana. Bookmark the permalink. The good thing about finding the error in your ways, is that you found out before your book is published – will save a lot of later amendments or errata etc. By the way, that’s a lot of Doctors in a relatively short period of time. My family Doctors father of my Father’s childhod circa 1923, Dr Perkins of Pitfield Street, N1, opened the practice sometime in the early 1900’s. His son, my doctor of my childhood was still in practice there in the mid-1960’s and was still my GP until I joined the Army in 1967. It was a one man band. No receptionist, no practice nurse no help whatsoever. You entered the waiting room, and sat unit he called next and hoped that someone wouldn’t try to push in front of you. But he was an excellent doctor who treated all ailments with aspirin and a sticking plaster for effect. No antibiotics or new fangled stuff for him. He might give you advice to eat more greens or carrots, but that’s as far as his dietary advice went. I remember when I had an accident and instead of going to A&E went to the GP. He took me in, used some rudimentary surgical strips to hold a wound together and set me home with some cream to put on it. It healed fine. Trusted, he and his father had been my father and grandfathers GP’s. Rough working class area in those days, Shoreditch, now going all upmarket and yuppie on us. No room for the poor working class who lived there for generations. All the warehouses and factories around Luke Street (childhood home of three generations) are now yuppie #lofts or whatever they’re described as. It’s like entering a foreign country. Thanks for this, E. What an evocative recollection of your early memories of your doctor. 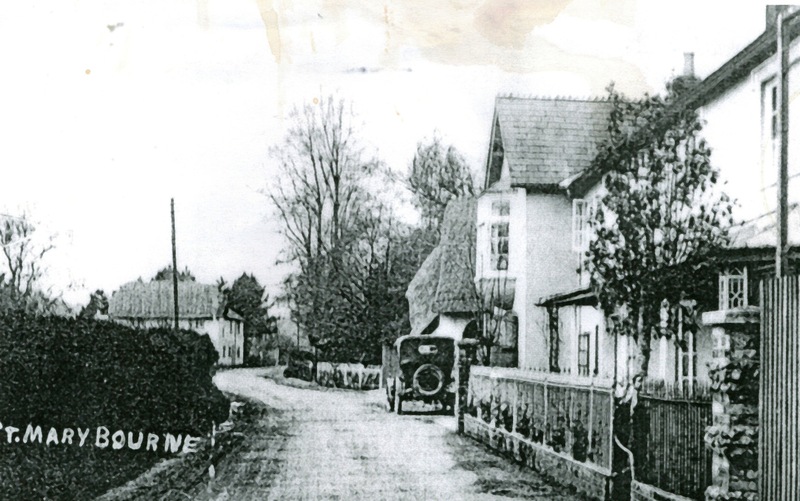 I think the reason our doctors in St Mary Bourne didn’t have very long innings is probably that they came here as their ‘last posting’, thinking a small country practice would be restful. I doubt that it worked out restful in practice!